Home » Health » Let Olympic Athletes Be Your Motivation! Let Olympic Athletes Be Your Motivation! If you have goals to achieve that involve losing weight, getting into better shape, or improving your level of physical performance in your chosen activity, you may want to pay attention to how your Olympic athletes prepare for their respective events. Firstly, elite athletes always plan ahead. They can tell you what they will be doing to prepare for their event in two months or in 12 months. The planning is based upon the achievement of a certain goal and how they can break down that major goal into several smaller goals based upon the component parts. An example would be that you want to lose 75 lbs., get into much better shape, and get healthier. That is a lofty goal, much like winning a gold medal in the Olympics! They both require that the goal be broken down into smaller goals on a definite timeline or schedule. Each smaller goal must be associated with an action plan created to achieve this goal. In this regard, these smaller goals will be achievable in the process of reaching the major goals you have set for yourself. Secondly, to achieve goals in the areas of weight loss, fitness, and wellness it is important to have a variety of activities and strategies available to you. 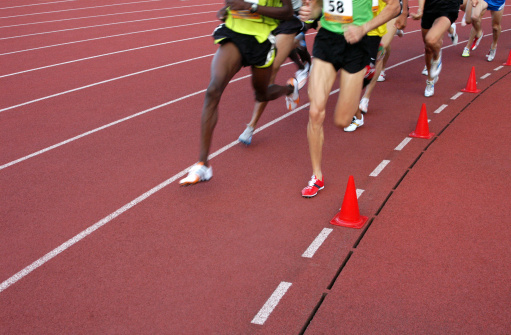 Elite athletes utilize cross-training as a way to give themselves more variety and prevent over-training injuries. You can do the same thing by changing your fitness routine and schedule which will prevent boredom and improve motivation. Eating the same food all of the time is also a problem that can be solved by changing your diet and by introducing different healthy foods choices to your daily regimen. Thirdly, the encouragement of others along your journey will make it much more rewarding. A partner that can help you share experiences and support will prove to be a very important catalyst for your success. Even seasoned athletes need support and encouragement from a training partner. You can also benefit from this and if you are going through the same challenges, the support can help you achieve your goals. Fourthly, champions are made from a team effort. This can also be the case for your own journey to better health and well-being. Help can come from a coach, trainer, consultant, support group, family, and friends. By getting others involved in the achievement of your own health goals, you will be more likely to remain focused on reaching them. The added help, input, and support will also help propel you forward. Fifthly, to achieve any goal requires that you change your thinking. You must be able to take your goals and make them real by performing tasks and taking the appropriate degree of action. This requires the inspiration that you can get from the persistence and discipline illustrated by our own Olympic athletes. This can also be done by the increase in confidence you will experience when you achieve some of the smaller goals that are part of your larger plan. People who are successful can self-motivate by using imagery, meditation, music, or watching their favourite inspiring movie. Lastly, the ability to focus upon a particular goal and the attainment of the necessary steps to reach it is the key to greatness. For this, you need consistency of effort, discipline, and a pin-point level of concentration and resolve. You need to “keep your eye on the prize” if you want to achieve lofty goals of the magnitude experienced by Olympic athletes!